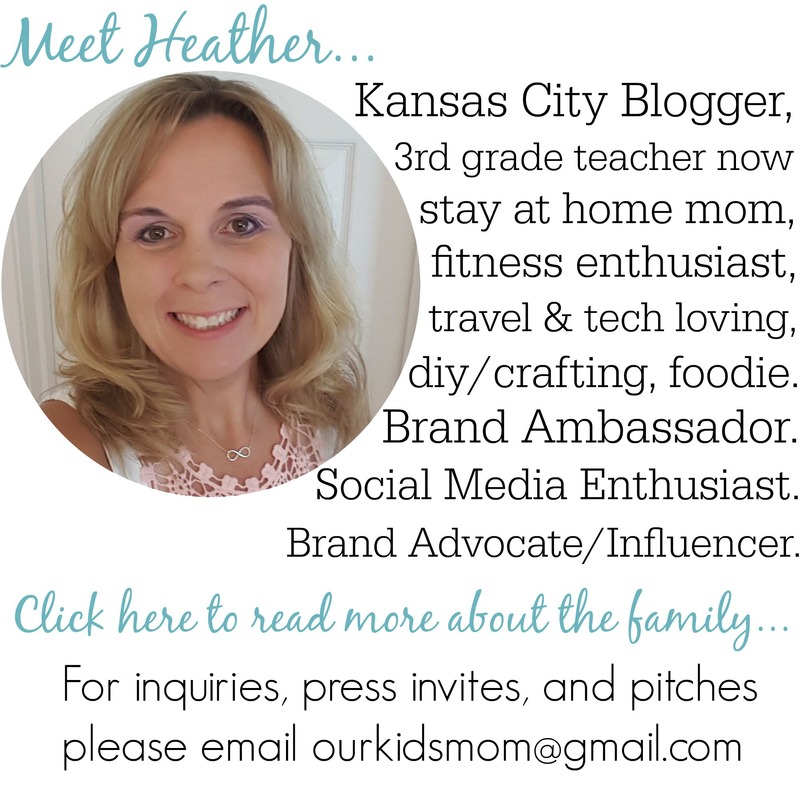 Welcome to OurKidsMom and Blogmania! My amazing sponsor is Bright Starts. Bright Starts Having a Ball Collection is Laugh out loud fun! Get your toddler rolling with this unique collection of toddler toys that will have them laughing out loud while learning colors, shapes, numbers and more! 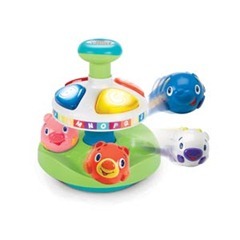 Each toy will surprise and delight them as balls pop, roll and wobble triggering lights, music and funny sounds. Learning has never been so much fun! Your toddler will never run out of new things to do and learn with the Get Rollin’ Activity Table™! From the ball ramp to the peek-a-boo gator and the caterpillar piano, this activity table provides hours of entertainment and learning! It even fosters bilingual language learning by teaching shapes, colors, numbers, and more in both English and Spanish. 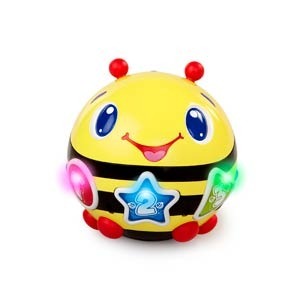 The Roll & Chase Bumble Bee™ brings learning and fun to life with its unpredictable bumbling and catchy melodies that begin with the touch of a button. With two modes of play, toddlers also learn colors, shapes, and numbers! 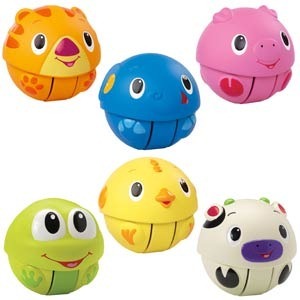 Delight toddler with these cute, animal themed balls that make silly sounds as they wobble and roll across the floor! With 6 different characters to choose from, your toddler is sure to laugh out loud! Get your toddler rollin’ and laughing with the Pop & Roll Roadster™! Silly sounds are activated as balls are dropped into the steering wheel and roll into the hood of the car. For extra fun, pull the gear shift and the balls are launched from the hood. 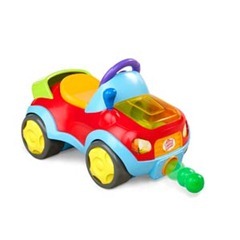 Fun horn and engine sounds play each time toddler pushes the buttons to ensure a fun ride every time! The Cluck & Learn Barn™ brings animal learning and ball drop surprise together to spark laugh out loud fun! 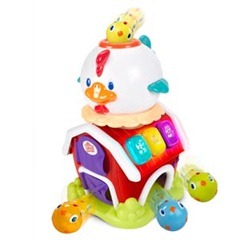 Toddler can drop balls into the chicken to activate fun barnyard sounds, and to see which barn door they’ll pop out of! Pressing the buttons teaches animal names and sounds while ball dropping fosters counting and playing all at the same time! 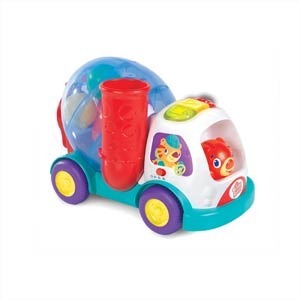 Keep playtime truckin’ with endless fun from the Swirl & Roll Truck™! Toddler can drop balls into the truck’s stacker opening, see them swirl around, and then pop out the back of the truck as it’s rolled along. Fun sounds and phrases and light up buttons accompany the ball popping, making this truck a total entertainment experience! One lucky readers is going to win all seven of the Bright Starts Having a Ball toys RV $163! This giveaway ends at 11:59 PM EST on October 10, 2011. This giveaway is part of Blogmania… a huge giveaway event. 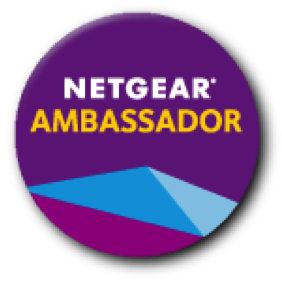 Check out these other blogs for more amazing giveaways! I love the pretty in pink collection! I wish they had had this when my daughter was born! I like the Start Your Senses line. I learned that they have won a LOT of awards! I also like the Having a Ball™ Pop & Roll Roadster™. The The Roll & Chase Bumble Bee looks so cute and fun! I like the Drop & Giggle toy. I love the sensory pals! Love the Roll & Chase Bumble Bee. I’m going to be watching a friends baby in January and this would be great for her to be exposed to colors and sounds as well as helping her learn how to crawl. From the site, I like the New Mom Checklist – how informative! Love the comfort and harmony portable swing. I love the bright stars website! It keeps you informed on all the latest toys! I learned that a portion of the proceeds from their pretty in pink collection goes towards breast cancer research and awareness. I love all the new ball toys! My Charlotte has been eyeing the dogs tennis balls lately I’ll have to see whats available locally for her to check out! I signed up for Generation Mom too! I like the start your senses activity gym. I love the roll and chase bubmble bee! I like the perfect place highchair. Thank you! i like the havin a ball pop and roll roadster! What a grand company ..I love all their creative items and know my grandson would too.. I like the whole Pretty In Pink section- especially the Bloom n Rattle! pretty and pink bloom and rattle is so darn cute!! I also love the soothing sounds mobile. Love the pretty in pink line! I love the look of the Comfort & Harmony Cradling Bouncer – I think I’m going to need to pick one of those up for this next baby. I would also like to have the Bounce-a-Bout™ for my new grandson that is due in November. I love that they have a checklist for new moms. That would have been handy when my little guy was new. I would love to try the ingenuity perfect place highchair! I learned they have product support and demos on site! They have been creating a fascinating world for babies since 1969. Would love to win it for a friend! I learned and liked that the Bright Starts has a section on the site for new moms, including a checklist. I would like to try the Ingenuity Comfort Swing. I want the Pretty In Pink™ Baby’s Play Place™ Deluxe Edition. It’s adorable! I ABSOLUTELY LOVE THE “Having a Ball™ Get Rollin’ Activity Table”!!!! I would love to have the bright starts comfort & harmony cradling bouncer. I also like the Pretty In Pink Bounce-a-bout. Thanks for the awesome giveaway! I would love to have My Little Booster Seat. I loved the entire “Pretty In Pink” line! I like the pretty in pink collection. I like the InGenuity Cradle & Sway Swing. I’d like the cluck and learn barn. I’d love to have the Pretty in Pink Put & Take Purse. Having a Ball™ Get Rollin’ Activity Table. I love the checklist they have for new moms on their site, what a great resource. From Bright Starts, I really like the Bounce Bounce Baby seat and I have a new Grandson to buy it for! Love the Having A Ball Giggables! These are such cute toys! I love the Cruise ‘n Sort Bus. I think my daughter would really like it. I love the Pretty in Pink collection! I like the put and take pink purse! I love the Pop Links from their website. I Love the new Pretty in Pink Collection, but the having a ball stuff is great! Seems that anything ball related gets my kids attention! Aw I like the Giggables – too cute! I like the Doodle Bugs Around We Go Activity Station. I like the InGenuity Automatic Bouncer. I love the Tummy Turtle™ Prop & Play Mat. I love everything in the Pretty Pink collection… so great for the new baby girl coming in Jan! They are all so cute but the rolling roadster is sweet. I would love to get my granddaughter the Pretty In Pink™ Bounce-a-Bout™. The Pretty in Pink collection is awesome! I really like Bright Starts’ Start Your Senses line – each toy is designed to stimulate and engage several of the baby’s senses. Great stuff! My daughter loves bugs and I’m sure she would like to have the Roll & Chase Bumble Bee. I’d really like the Pop & roll roadster! I also really like the bright starts teething rings that go in the fridge. Lifesaver! I want the Comfort & Harmony Cradling Bouncer for my BFF who is pregnant. I like the giggables. Those look cute!! I have the InGenuity Portable Swing and LOVE it. One of the best i’ve used. The Comfort & Harmony Cradling Bouncer looks nice! I love their whole Start Your Senses line, especially the Start Your Senses Sensory Plush Pals… Cute and a wonderful educational toy! In 1969 the founder, a grandmother, came up with an idea to keep infants from slipping in the bathtub. I would love the roll and crawl toys i love how they help to keep the kids active. I know my daughter would love the Click & Giggle Remote! I LOVE the Pretty In Pink™ Bounce-a-Bout!!! So Cute. 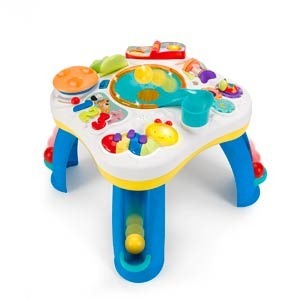 The get rollin’ activity table is great for little ones just learning to stand and cruise, it is the perfect height. Love the pretty in pink bounce-about! I’d love to have the Bounce-a-Bout! I would love to have the Bounce-a-Bout! I love the roll and swirl truck and how the balls pop out as they push it! 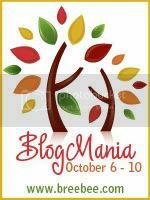 Thanks for taking part in blogmania! i love the Bounce-a-Bout and i am planning on getting it for my nephew! I lov r the pretty in pink line. I really want the balls activity center. I would love the Bounce Bounce Baby! I really like the Pretty In Pink Bounce a Bout. Thanks to you & sponsor for the chance to win!! I like the Petals and Friends Activity Gym. What an amazing giveaway! I didn’t know that Bright Starts also has a Start Your Sense collection. Neat! Id love the Comfort and Cradling Bouncer in blue! I like the Tummy Turtle™ Prop & Play Mat. I would love the Around We Go Activity Station!! I really would like to have the comfort & harmony portable swing! I love the Having a Ball™ Giggables! My son would love those! So cute! Love the Cruise N’ Sort Bus. I want this for my Nephew. i like all of them but the having a ball giggables is my favorite toy! I like the Pop N Roll Roadster. I would love to try an Ingenuity high chair! My son would love the having a ball roadster! I love that they have product instructions and demonstrations right on the website….why don’t more companies do this….a great idea! I like the Having a Ball Pop & Roll Roadster! The Bounce Bounce Baby would make a great shower gift for my sister who is due in January! I like the roll and chase bumblebee!! I would love to have the Bounce-a-Bout!! Im sure Meadow would love it! I like the Bright Starts products because the kids love them and they are reasonably priced! “tell me something you like, learned or want”, really there are so many nice items that my wish list just keeps growing!! Although the Pretty In Pink Bounce Bounce Baby is going on the top of that wish list! I love the Having a Ball Alphabet Pop Top, as well as the swirl and roll truck. My son is 10 months old and would absolutely love these toys! Well, I want everything! But, if I had to choose I’d love the Having A Ball, get Rolling Activity Table. My 8 month olf was 2 months premature and we look for things like this to help his development as he is at risk for having delays. I love all the items that Bright Starts has. We would love to be able to purchase almost everything that they have, but can’t afford to. Winning these items would be not only a great blessing, but a great opportunity for my child to learn. I love the pretty in pink sweet spots ladybugs highchair. I checked out the website…but I do all the time already! I have been been eyeballing the ingenuity swing….LOVE it! The having a ball stuff looks like so much fun too! I like InGenuity from bright starts. The drop and giggle is so cute. I wish they had the pretty in pink collection before my baby shower I absolutely LOVE it!! I want the Get Rollin’ Activity Table!! wish we had a comfort and harmony portable swing! I like the Having a Ball Giggle Balls. I learned that the Having a Ball™ Get Rollin’ Activity Table is bilingual which is great for my son. I learned that “Having a Ball” helps toddlers learn colors, shapes, numbers and more…. I love the Having a Ball Giggables. My daughter LOVES balls and would think these are hysterical. my baby loves all of the bright star toys he has! I love the Pop and Roll Roadster. My son thinks it’s hilarious everytime he see’s the commercial for it. I would love the Having a Ball Get Rollin’ Activity Table! My son would love it! I love the Around We Go Activity Station! We are also very, very fond of our links from Bright Starts! I would love this for my baby girl! I have read fun things about the giggables! With my little one, and her 5 new cousins, those would be great to give for Christmas gifts. I love the bright colors my daughter just stares at them! We would love the Pop and Roll Roadster! My son loves ride-on toys! Lexi loves anything and everything that has bright colors and makes sounds…these look like lots of fun! 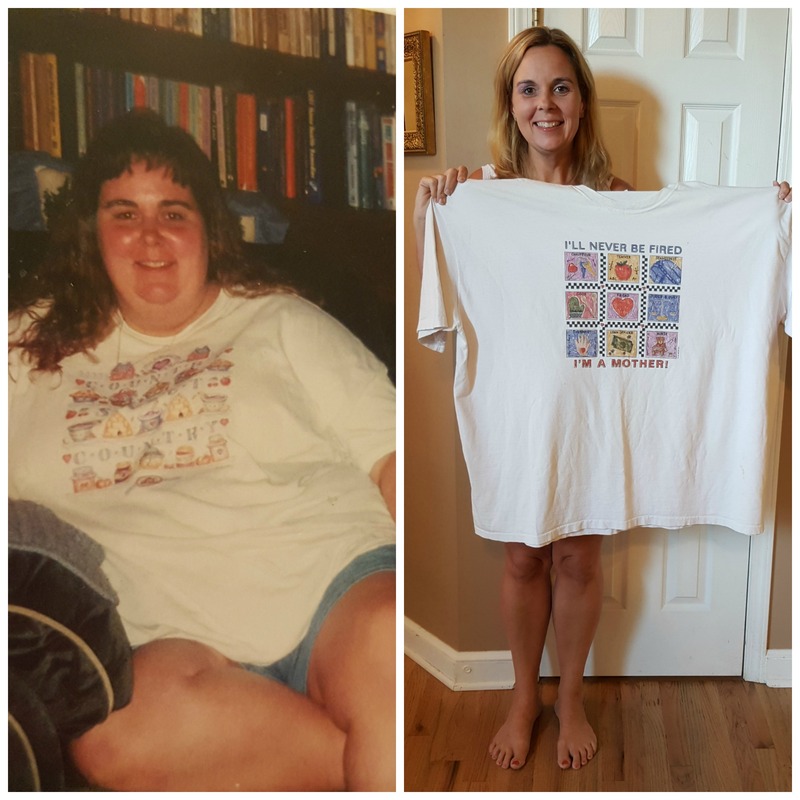 I have to tell this – my husband and I recently got a Bright Starts Tropical Fun Around We Go! Activity Station. My 7 month old son lovesssss it!! 🙂 its awesome. I would love to have this one too!!! I am sure my lil one will love the bounce-a-bout! My 3 year old and 5 month old would love this. I forgot to write that I love the bounce a-bout. I like the cuddle and soothe blanket. I really like the “Having a Ball Alphabet Pop Top”. I love that it’s an educational toy that teaches toddlers their alphabet, colors, and objects. I know my toddler would enjoy it ! Thank you for offering this giveaway. I like that their toys are educational and promote learning. I like the Drop and Giggle toy. I love all the bright colors that Bright Starts has with all of their products. Love brightstarts products. Have the swing and hoping to get highchair. My sons is only a few weeks old so starting my investing on these products now! I love the Having a Ball Giggables. My granddaughter loves to play with balls and she would surely have fun with this. The Comfort & Harmony collection all looks so comfortable and snug! I would love a great portable swing to bring when we visit family. There’s a Bouncy seat I would love to have with many activities for my 4 month old. I really like their activity gyms! I would love to get the Around We Go Activity Station. I would love to have the Having a Ball Giggables. They would be absolutely perfect for our crawling baby. I also love the Sensory Giraffe! They have fabulous product lines, thanks for the giveaway! I would like to get the Bounce-a-Bout™. I love that it has 3 adjustable height settings and lays flat for storage. awww….I love the little zebra sensory toy. He’s too cute! I’d love to get my daughter one of their toddler activity tables. She loves those types of toys. I like the backyard collection, very bright and cheerful!! I think the Bright Starts Bounce About entertainer looks amazing too! Thanks for this great giveaway. i like the backyard collection! I’m so excited Bright Starts is selling more toys now! We have one of the bouncers and my son loves it! I love the new Pop & Roll Roadster! I learned that Bright Starts won the Bright Starts™Start Your Senses™ Sensory Plush Pals™ ( Dr. Toy’s 100 Best Children’s Products – 2011 ) award this year! I really like the ingenuity cradle and swing!